Ordering is easy. Just browse the web site, click on the Add To Cart button for the items you wish to purchase and add them to your Shopping Basket. When you have finished your selection, click on the Checkout button and enter your name, address and credit card details on the secure web pages. You can amend or remove items from your shopping basket just as easily as adding them. To do this, simply click on the Remove link next to the item you would like to delete, or change the quantity total in the box and click Recalculate. Payment must be made online by credit or debit card. 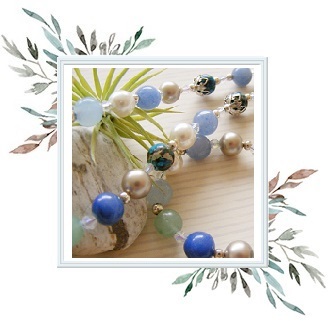 Atalya Designs accept Visa, MasterCard, Delta, Switch and Solo. Your order and credit card details are processed safely on a secure server (SSL). This means there is a private connection between your computer and this web site. Payments are processed by PayPal - a market leader and trusted name. 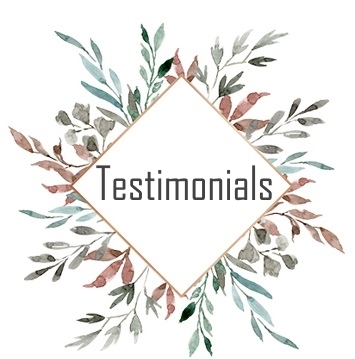 If you are not completely happy with your purchase, Atalya Designs will offer a full refund (excluding postage costs) or exchange for products returned to the artisan within 14 days of purchase. 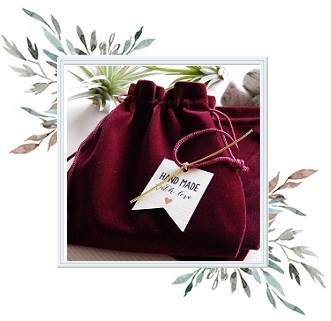 Handmade items must be returned in their original condition and packaging. 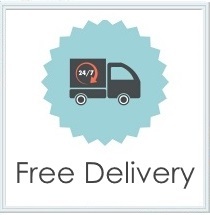 For your protection it's recommend that you use a recorded delivery service when returning items. This guarantee is in addition to your statutory rights as a consumer. Please return your handmade item to the address below with a copy of your invoice and a refund will be processed upon receipt of the goods. If you have any queries, please contact me for further help. 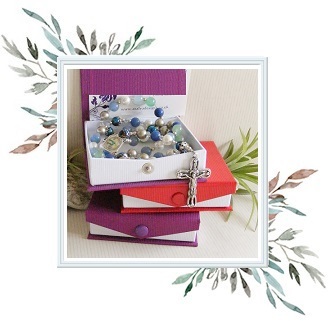 (Please note: Personalised rosaries cannot be returned as they're a bespoke handmade item created specifically for you). All handmade orders are sent to you with the utmost care and attention, depending on your order total, your parcel will be sent by either - Royal Mail 1st Class Delivery, Royal Mail Special Delivery or Airmail Insured. If your country isn't listed here, please email me for further information on ordering. In the UK - Your handmade gift will arrive within 2 to 3 working days. Please be aware, that your item may need to be signed for. Please note: Personalised items need an extra 11 to 19 days to create, so please factor this in if you're buying as a gift. Personalised gifts cannot be returned as they're a bespoke handmade item created specifically for you. Europe, India, Australia and the United States of America - Items usually take up to 7 to 14 days for delivery. Insured Mail will need a signature upon delivery and a tracking number is attached to your package. Please note: Personalised items need an extra 11 to 19 days to create, so please factor this in if you're buying as a gift. Personalised gifts cannot be returned as they're a bespoke handmade item created specifically for you. I have to write this by law, so please forgive the 'aloofness' in my wording. In the event that you need to make a complaint, for whatever reason, I will immediately endeavour to resolve the problem to your satisfaction. If this can't be done straight away, I aim to resolve the issue within 48 hours. The information Atalya Designs collects from you is for the purpose of processing your order only. I do not ask for sensitive personal information and I do not disclose or sell your details to third parties. The information I require is name, address, phone number, e-mail address and credit/debit card details. I do not store any customer details on file. Care has been taken in the compilation of this web site. The statements contained on this site are believed to be correct. However, Atalya Designs shall not be liable for any loss, damage or inconvenience arising from inaccuracies. I enter into no express or implied conditions, warranties, terms or representations regarding the quality, accuracy or completeness of the information. I exclude to the extent lawfully permitted all liability for loss or damage, whether direct, indirect or consequential (including, without limitation, loss suffered as a result of breach of these terms that is not a foreseeable consequence of the breach, lost profits, lost opportunity, lost business, loss of goodwill, loss of contracts, loss of health, increased overheads or administrative expenses or management time) arising out of your use of or inability to use this web site, or from any information or omission contained in this web site. I cannot control the content or take responsibilities for pages maintained by external providers/organisations that can be accessed through this site. Any external products and services listed do not necessarily carry the endorsement of Atalya Designs or imply a recommendation.The information contained in this web site is for general information purposes only. The information is provided by Atalya Designs and while I endeavour to keep the information up to date and correct, I make no representations or warranties of any kind, express or implied, about the completeness, accuracy, reliability, suitability or availability with respect to the web site or the information, products, services, or related graphics contained on the web site for any purpose. Any reliance you place on such information is therefore strictly at your own risk. Through this web site you are able to link to other web sites which are not under the control of Atalya Designs. I have no control over the nature, content and availability of those sites. The inclusion of any links does not necessarily imply a recommendation or endorse the views expressed within them. Every effort is made to keep the web site up and running smoothly. However, Atalya Designs takes no responsibility for, and will not be liable for, the web site being temporarily unavailable due to technical issues beyond my control. There is no scientific proof, nor can I give any or guarantees that healing or praying will work for you in any way that you may expect. You should not stop any medications or treatments, nor should you ignore any advise your GP has given you. Healing Gemstone Beads - There is no official scientific research to suggest that crystals, gemstones or any other form of complimentary therapy actually works. 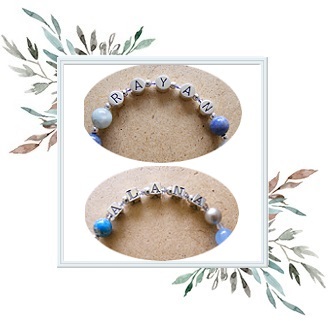 Therefore no guarantee can be given as to the success of the use of the crystals/gemstones used throughout the handmade products when making a purchase from this web site. Sizes shown on web site descriptions are approximate sizes, although measurements are taken, this allows for minor discrepancies in how I measure items and how you may interpret the measurements on arrival. 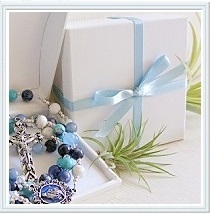 All rosary beads come with a gift pouch unless specified in the product description. 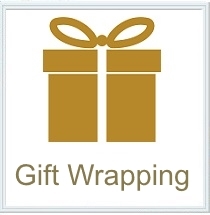 Gift boxes can be purchased as a separate order item. Atalya Designs does not give you any right or interest in any copyright or intellectual property rights in any product nor the right to copy them. The copyright in www.atalyadesigns.co.uk includes the content of all the software, web site and pages relating to the www.atalyadesigns.co.uk web site or licensed to Atalya Designs and unless otherwise specified, may not be used, copied or altered without my express consent. Copyright extends to the design, look and feel of www.atalyadesigns.co.uk, all photographs on it and its marketing materials. You may use products from atalyadesigns.co.uk for private and personal use only. The contents on www.atalyadesigns.co.uk may not be used for any other purpose. Atalya Designs does not make any warranty or representation in respect of any other trade mark or trade marks of brands featured on my web site and they belong to their respective owners. 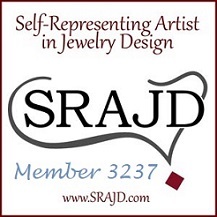 This includes all charms or products used in all my handmade items.